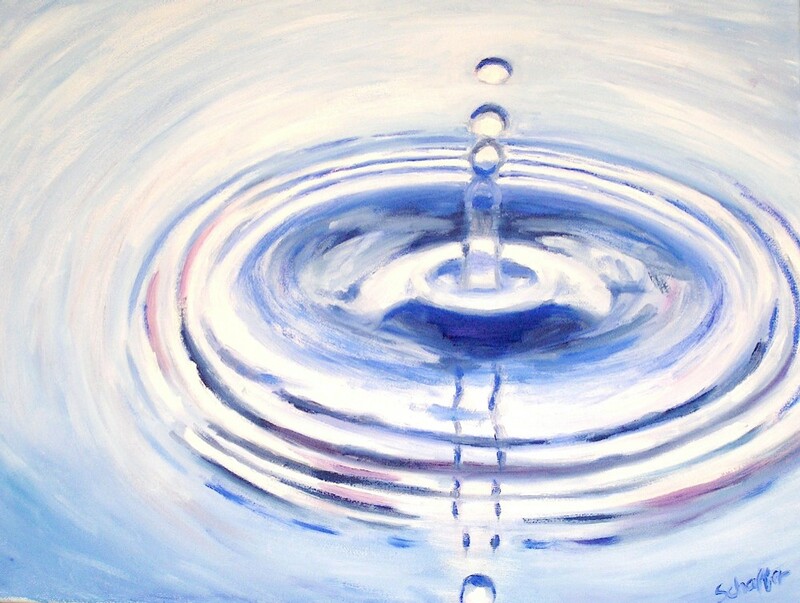 In 2008, I entered my first piece to the Lilly Oncology on Canvas, titled "Ripples." I was pleasantly surprised that it was picked to be exhibited around the country. October 2009,"Ripples" was one of the pieces loaned to St. Luke's Cancer Center, and I was given the honor by St. Luke's Cancer Center to speak at the opening. This piece represented how I was surrounded by love, hope and a great health network of doctors and support staff during my cancer care. I was a drop of water, that caused a ripple of support.